I have a great news for u: I am announcing another INTERNATIONAL GIVEAWAY for u today! I recently hit 1000 on my Facebook page!To celebrate the milestone I am having this giveaway. 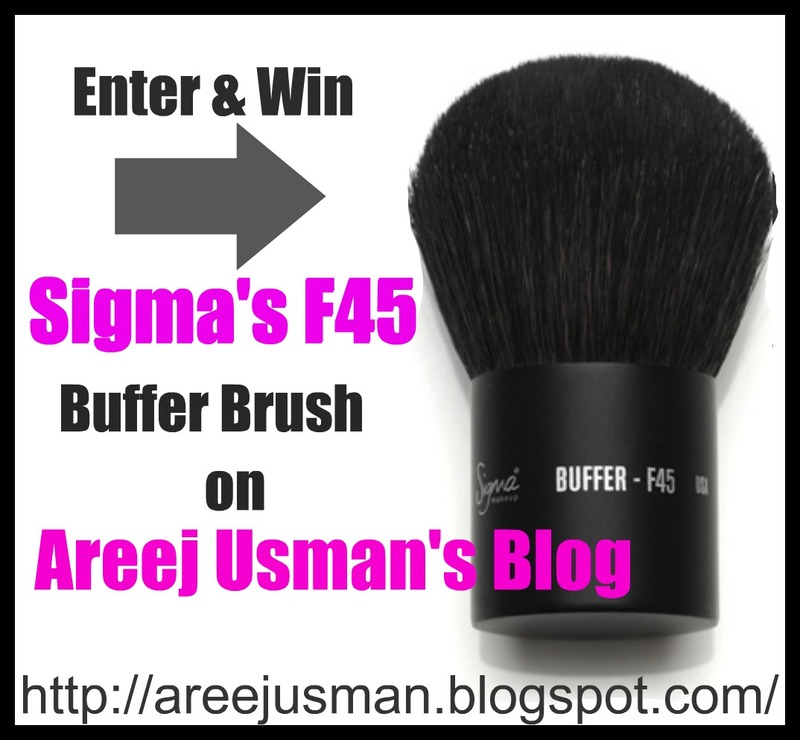 Sigma has kindly sponsored this giveaway!My winner will be getting The F45 Buffer Brush from Sigma. Ideal to apply mineral foundation, loose or pressed powders. Also great to buff colors and obtain a soft, blended look. Natural bristles. The maximum number of entries that a person can get is 18. If you have any queries u can always ask me my email is [email protected] or you can ask on my Fb page too:)This Giveaway starts today on Sept 7th & ends on Sept 30th 2011. Liked on facebook as Verónica piu.